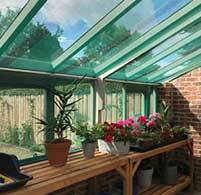 Louvre vents can be installed in addition to roof vents to increase air circulation within the greenhouse. 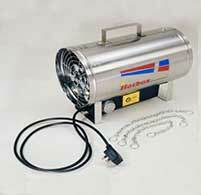 Hot air escaping from the greenhouse through the roof vents forces air to travel in through the louvre. 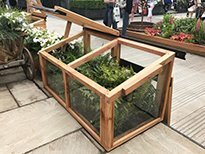 The airflow through the louvre vent can be regulated by the angle of the louver blades, thus allowing further control over the airflow and increased control over the greenhouse growing conditions. 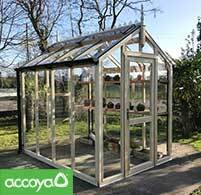 The louver vent is set in an aluminum powder coated frame and so protected from rust and corrosion. 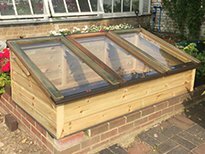 An alternative to louvre vents is to install casement windows. 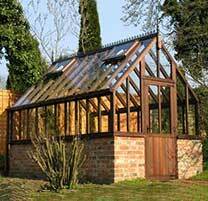 The casement window is aesthetically more fitting with a traditional greenhouse design, but is not as secure or as effective as a louvre window. 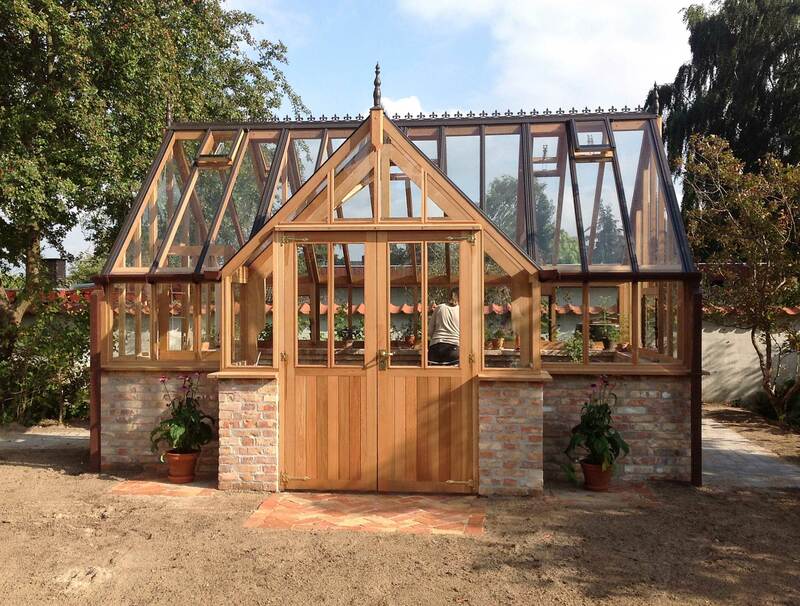 Casement windows are fitted with a black antique stay and matching hinges. 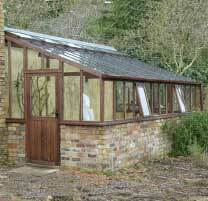 The stay allows the window to be opened to three different positions. 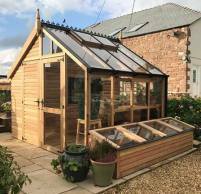 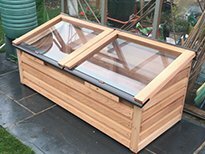 A split stable door will allow ample airflow to circulate around the greenhouse and create more comfortable conditions if working within the greenhouse in the summer sun. 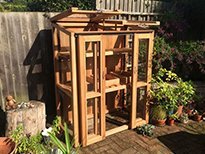 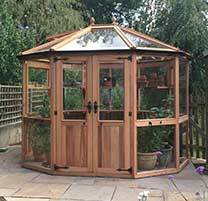 The lower half of the door restricts any pets or pests from entering the greenhouse. 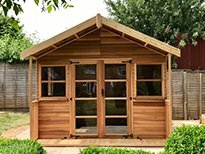 A single door can be upgraded to a stable door at a cost of £250. 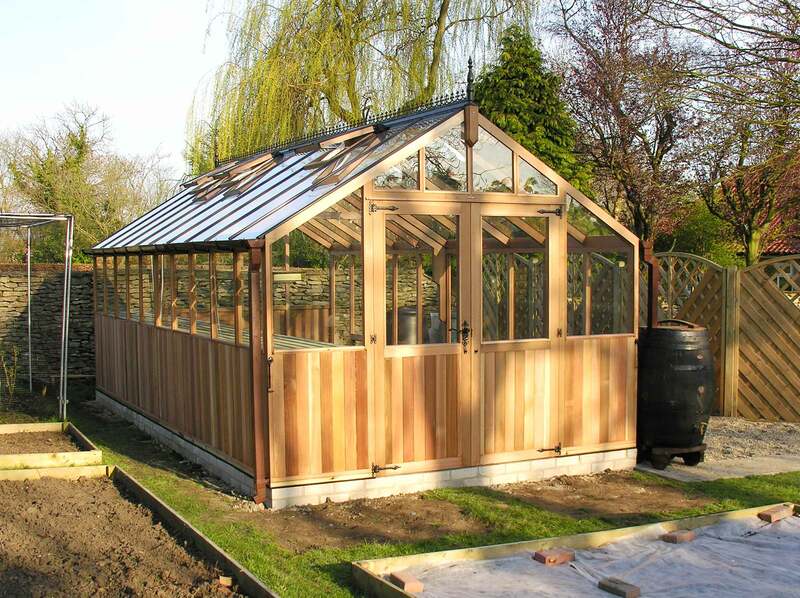 A double or single door can be installed to any rectangular greenhouse to improve accessibility or suit a garden layout. 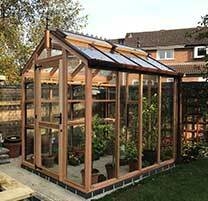 The cost is roughly 10% of the cost of the greenhouse to account for the extra material required to raise the greenhouse eaves from 5ft6″ to 6ft6″. 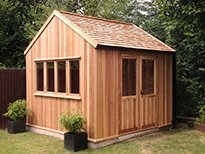 Please contact our office for an accurate estimate. 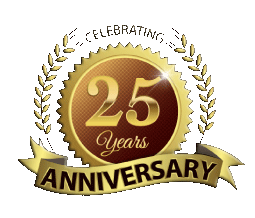 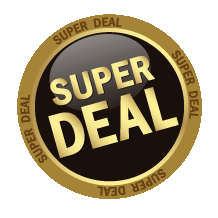 If you wish to go beyond a single standard door, each additional single door costs £250.00 and a set of double doors £500.00. 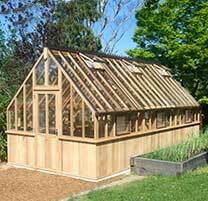 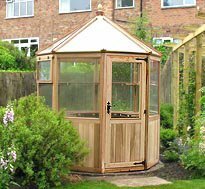 Please note this greenhouse design requires 6ft 6″ eaves and subsequently will increase the ridge height of the greenhouse too. 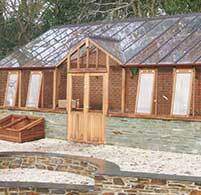 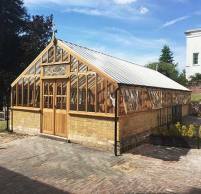 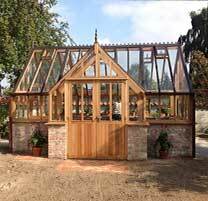 Double doors can replace a single door in any greenhouse gable and create a great visual feature. 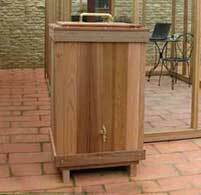 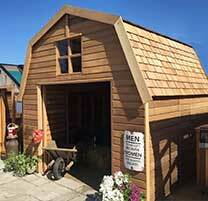 The double doors also improve accessibility for wheelbarrows, tools and garden machinery. 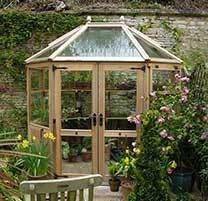 Replacing a single door with a pair of double doors in the gable costs an extra £250.00. 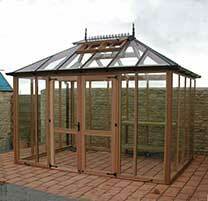 To install a set of double doors in a blank gable costs £500. 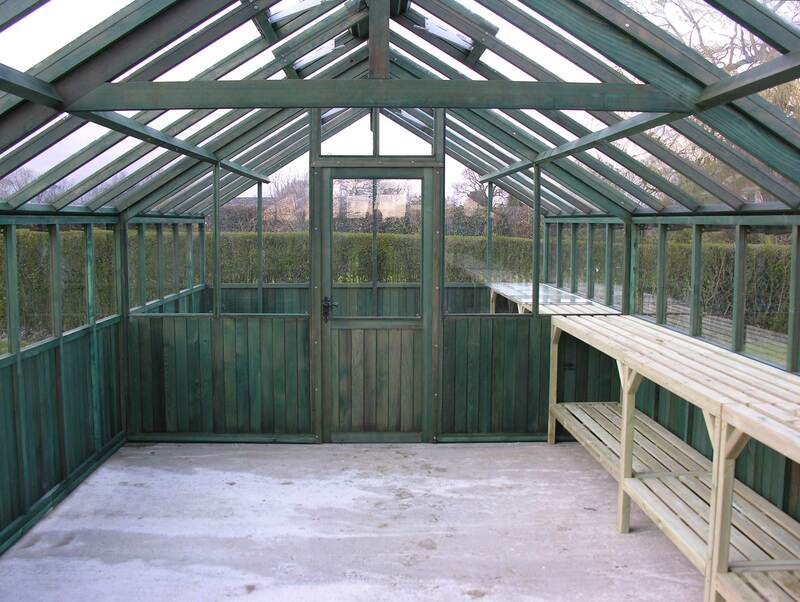 An internal partition can be installed into any Bespoke , free standing Bromley, Kingsbromley or Kingsbury greenhouse. 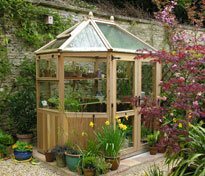 A greenhouse partition is perfect if you wish to grow a range of plants that require two different atmospheres and climates.The partition can be designed with or without a door. 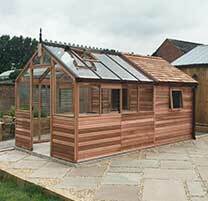 A list of prices for a partition of each width can be seen below. 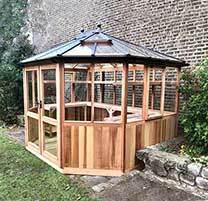 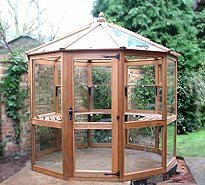 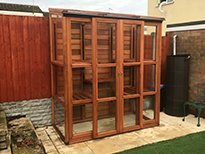 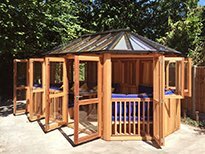 A flat porch can be installed to any bespoke greenhouse, free standing Bromley, Kingsbromley and Kingsbury for approx £1595.00. 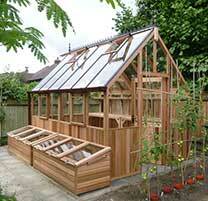 Please note this greenhouse design requires 6ft 6″ eaves. 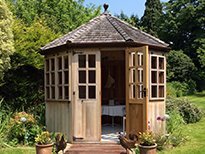 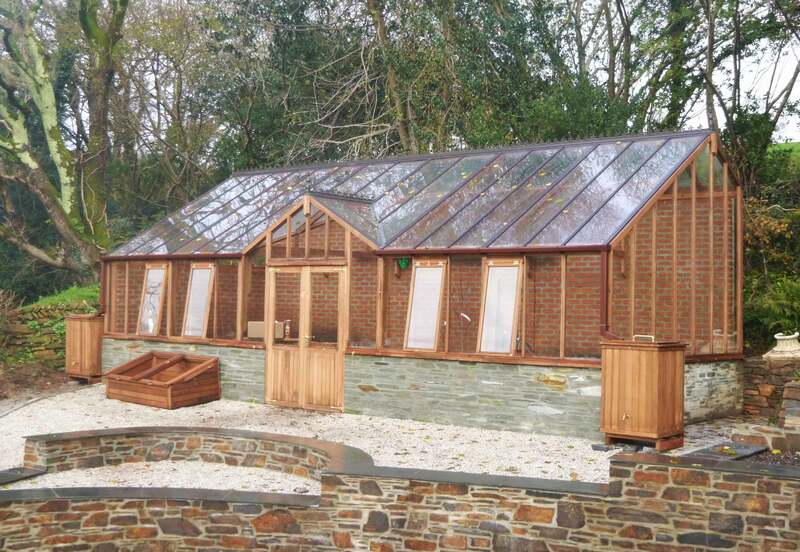 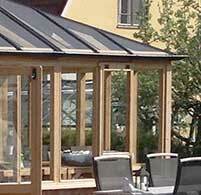 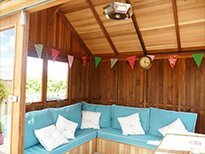 A protruding porch can be installed to any bespoke greenhouse, free standing Bromley, Kingsbromley and Kingsbury. 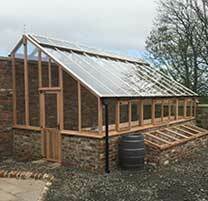 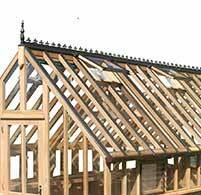 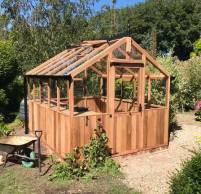 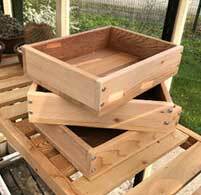 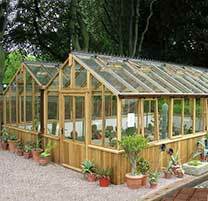 Arched windows can be applied to any Woodpecker greenhouse. 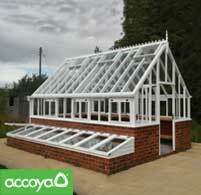 Arches are perfect for matching the greenhouse style with any other features in your garden landscape. 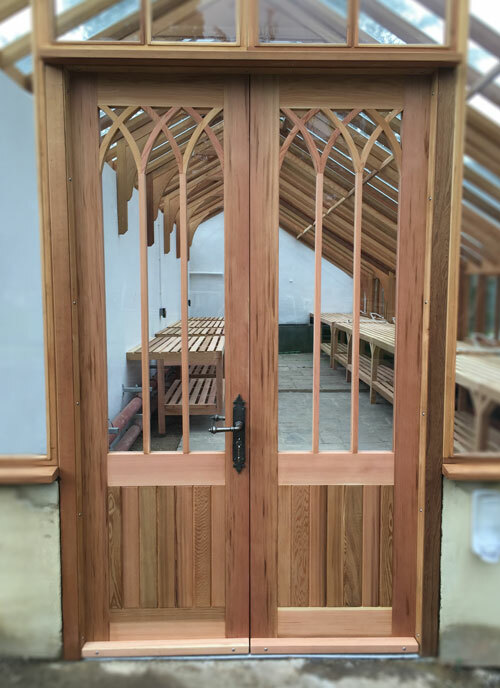 The decorative arches can be installed at a cost of £30 per window. 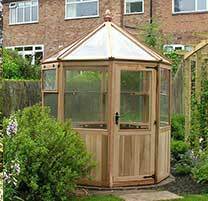 Our hand crafted gothic styled door feature can be added to any Woodpecker greenhouse. 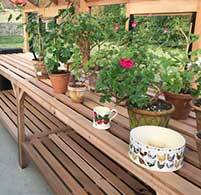 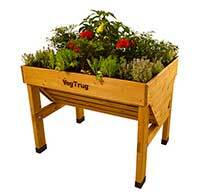 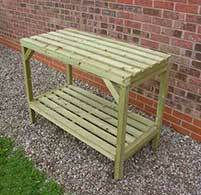 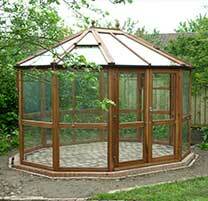 This feature is included as standard wthin our heritage greenhouse colection. 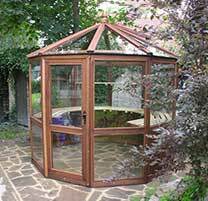 The decorative feature can be installed at a cost of £525 per window.